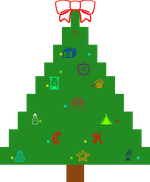 Decorate, save, and send your own non-denominational holiday tree greeting with Unicode ornaments. 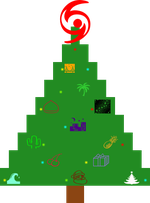 Each tree is made of valid, semantic, and imageless HTML and CSS! For more fun with Unicode check out unifaces. 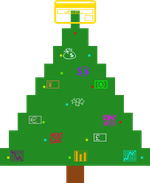 Unicode Holiday Xmas Tree is a creation of Britta Gustafson and Douglas Thrift.